The 2015 Compensation and Operations Report is the 26th. annual survey conducted by AMC. The data is as of December 31, 2015. The results of the survey are tabulated by the following employee groupings: 1; 2 to 4; 5 to 10; 11 to 20; 21 to 50; 51 to 99 and over 100. 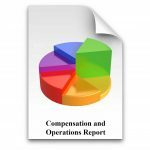 The Report contains tables by salary, related to association type, budget size, location, number of staff and employee positions. In addition, the Report provides operational data on topics such as board size, frequency of board meetings, codes of conduct, board and staff appraisals, cost of directors and officers liability insurance and much more. As well as providing important information to BC’s larger not-for-profit organizations, the survey also meets the unique needs of small and medium sized associations operating in BC. This year there will also be salary data for the senior financial staff position, and for charities, the senior fundraiser position. Please note, payee will show up as Soco Sales Training.